This pickup is something special. Its sound is big and fat with sweet, round highs. Moderate output, low resistance, wide, tall coil. 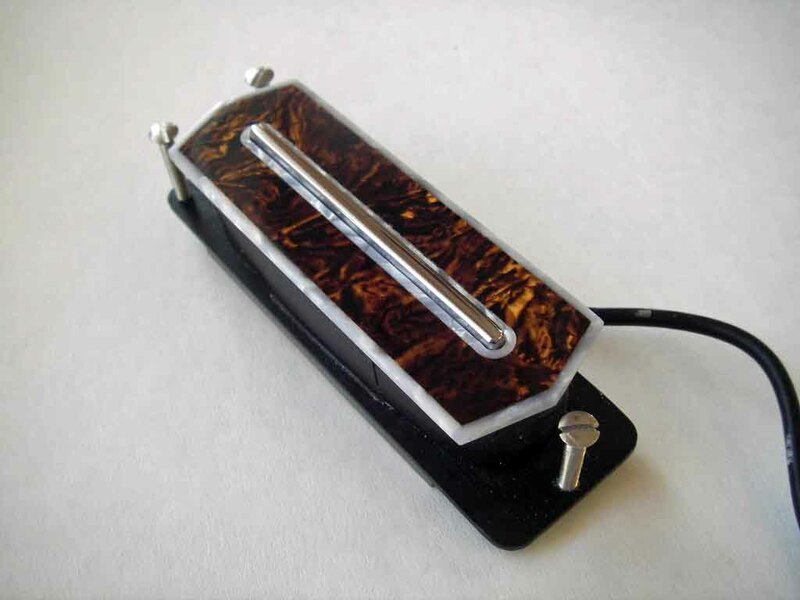 A Charlie Christian style blade pickup. Works great in neck position. 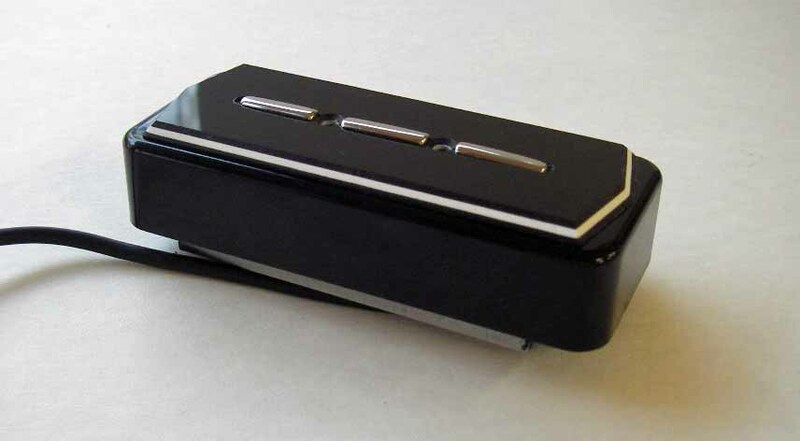 This is the pickup for cool jazz chords and singing neck pickup lead. Available with five different kinds of mounting. Works great on Tele neck position with 4-way switch. _Same pickup with Dogear cover. A straight blade is available with or without the notch under the B string. Orginal style top-plate. Gregor Hilden (Greg's guitars) plays Magneto T-Wave Atlantic. 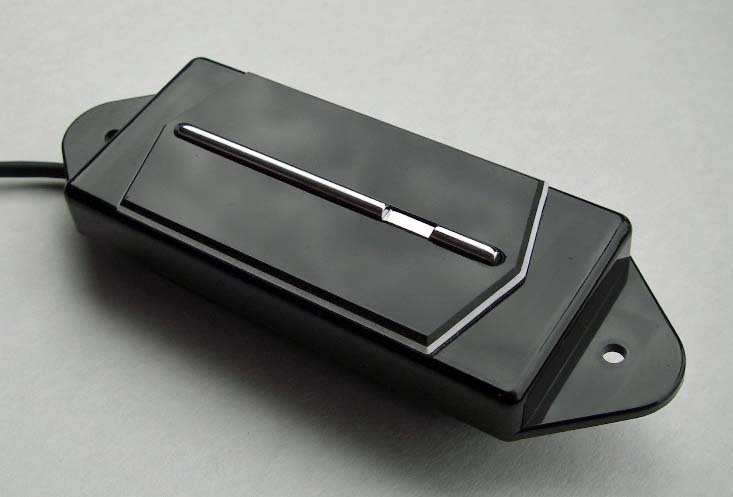 CCBar P90 size neck pickup. Wound with Awg 39 (0.09 mm) magnet wire. Alnico5 bar magnets. Closed nickel-silver cover. 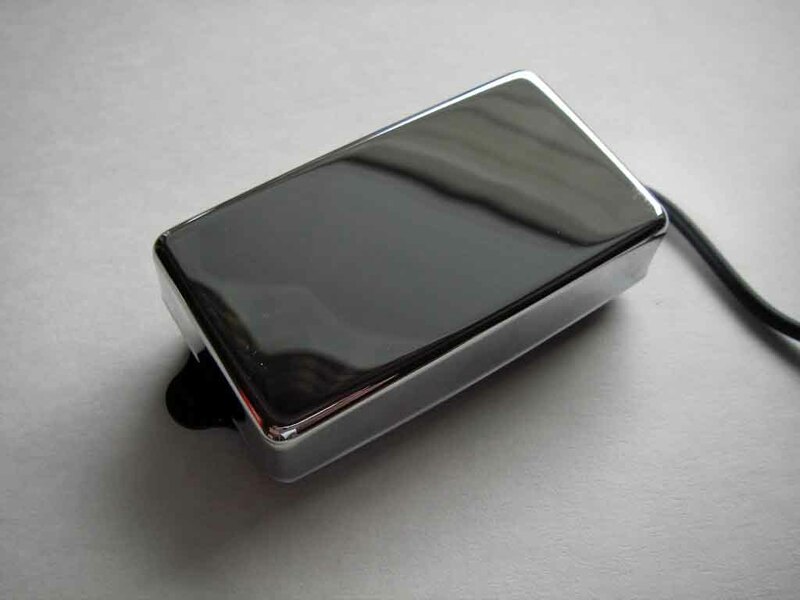 Can be used as a replacement pickup for a neck humbucker. Cover colors: Nickel, Chrome or Gold. Wound with Awg 39 (0.09 mm) magnet wire. Alnico5 bar magnets. 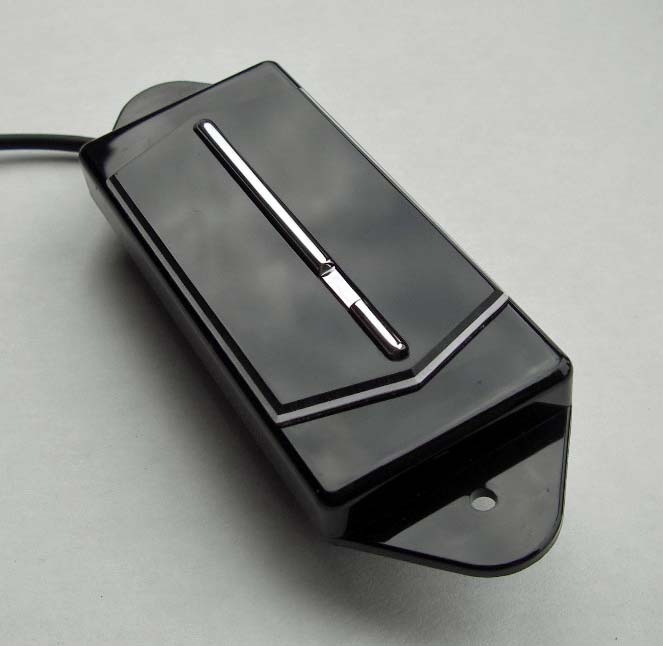 Open coil pickup, can be used as a replacement pickup for a neck humbucker. A straight blade is available with or without the notch under the B string. Original style top-plate. Wound with Awg 38 (0,1 mm) magnet wire. Alnico5 bar magnets. Steel blade width: 65 mm (2.56"). 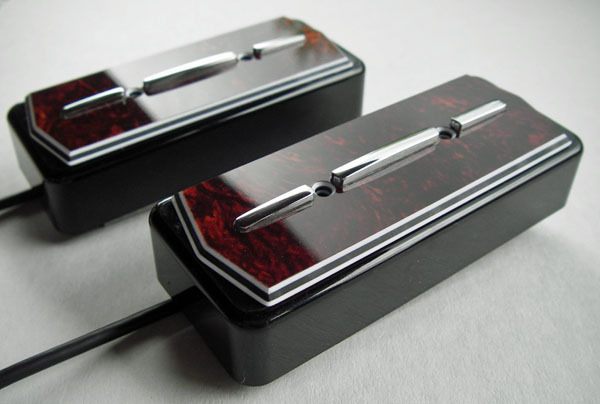 The pickup is built inside a same size cover as many active 7-string soapbar style pickups on the market. The sound is big and fat with sweet, round highs. Moderate output, low resistance, wide, tall coil. magnets. Steel blade width: 65 mm (2.56"). Mounting screw spacing: 30 mm. The screws are placed between 2nd/3rd and 5th/6th string. _Wound with Awg 38 (0.1 mm) magnet wire. Alnico5 bar magnets. Can be mounted on a solidbody guitar pickguard or direct to the guitar body. 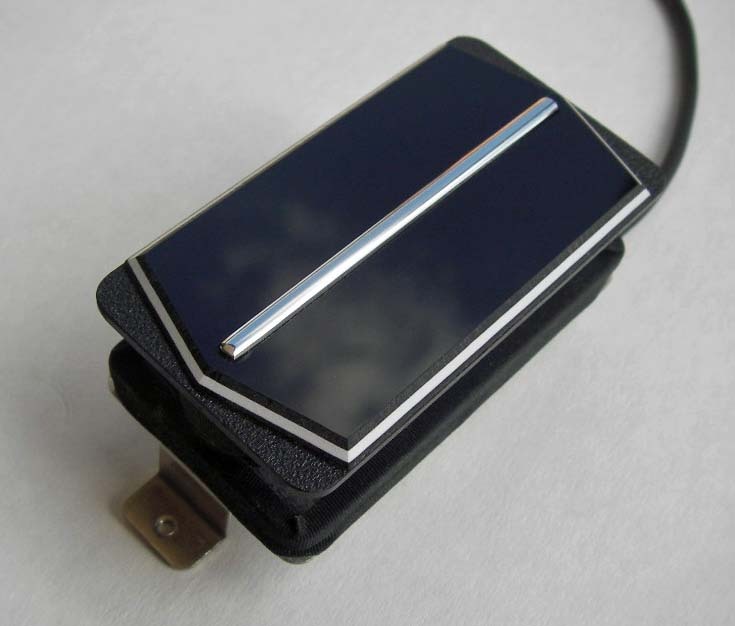 Can also be used as a neck pickup for an archtop guitar. A straight blade is available with or without the notch under the B string. May require modification to pickup cavity and pickguard. for more "Stratish" single coil sound. 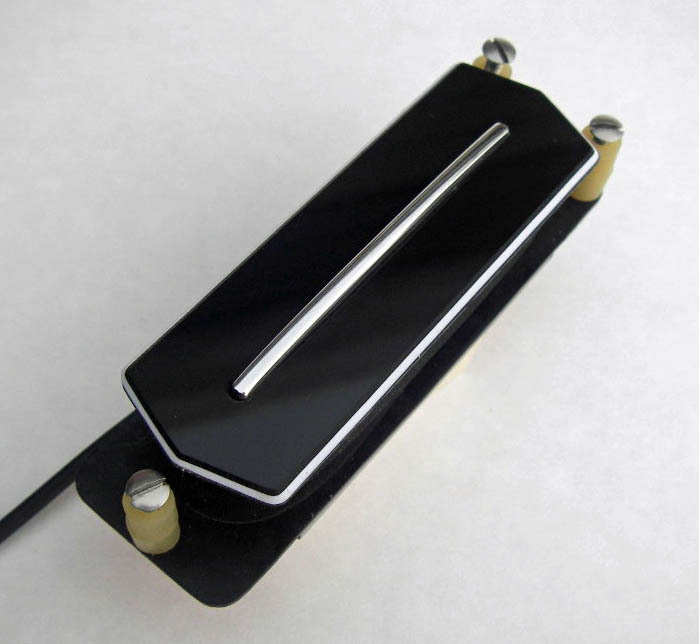 Better balance with a single coil bridge pickup. -Vulcanized fiber, regular humbuckerl baseplate.